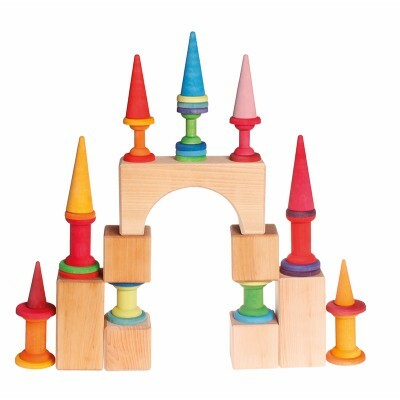 Stacking, sorting by colours, and building towers or funny people: this stacking game is very versatile. 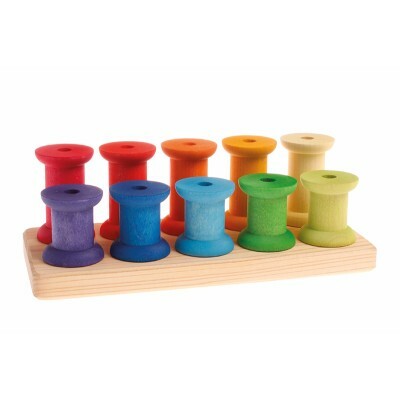 Tip: wonderful to roll up ribbon on the bobbins for repurpose. Material: maple wood and limewood, non-toxic water based color stain or non-toxic plant based oil finish. Tamanho: H = 5 + 7cm, diameter 4,5cm, base L = 26,5cm. 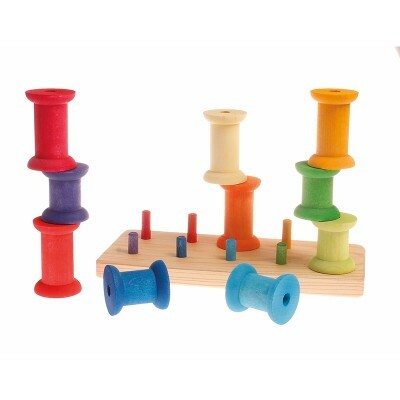 Quantidade: 10 pieces in raonbow colors.